One of the best and oldest rallies in the country. Every fifth year it stages a spectacular road run through little lanes past the remains of tin mining, up infamous 'Engine Hill' along the cliffs overlooking the sea. In 1995 it was hot and dry and sparks caused numerous fires along the route. Taking part is akin to passing a test of skill and determination. 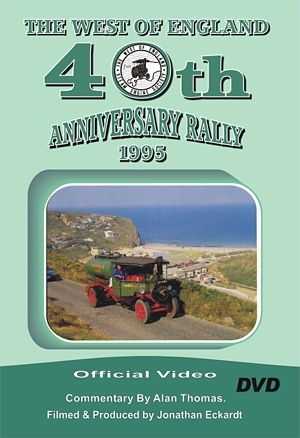 Engines are shown on their way to Cornwall; the famous Road Run; all the varied activities on the field; the glorious weather and the enjoyment of the visitors.